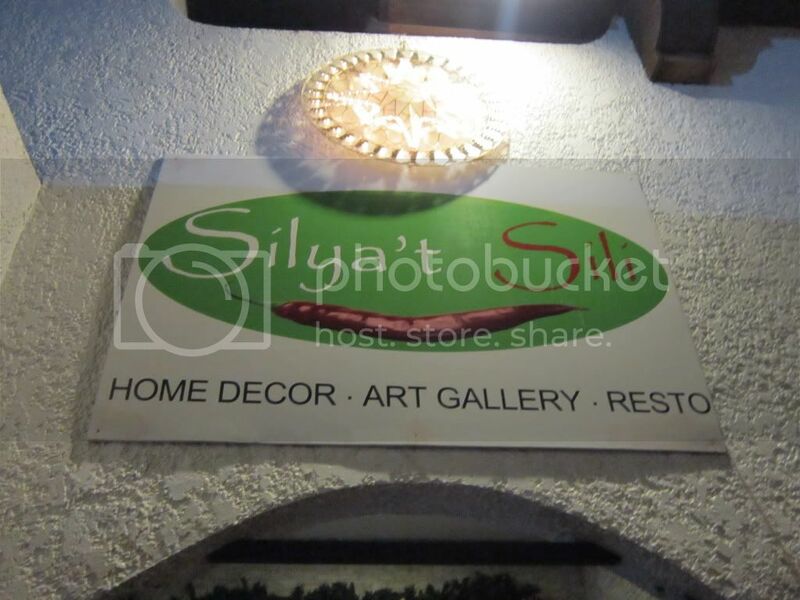 Note: As of January 14, 2013, Silya't Sili has closed the resto and is now an art gallery and furniture room. 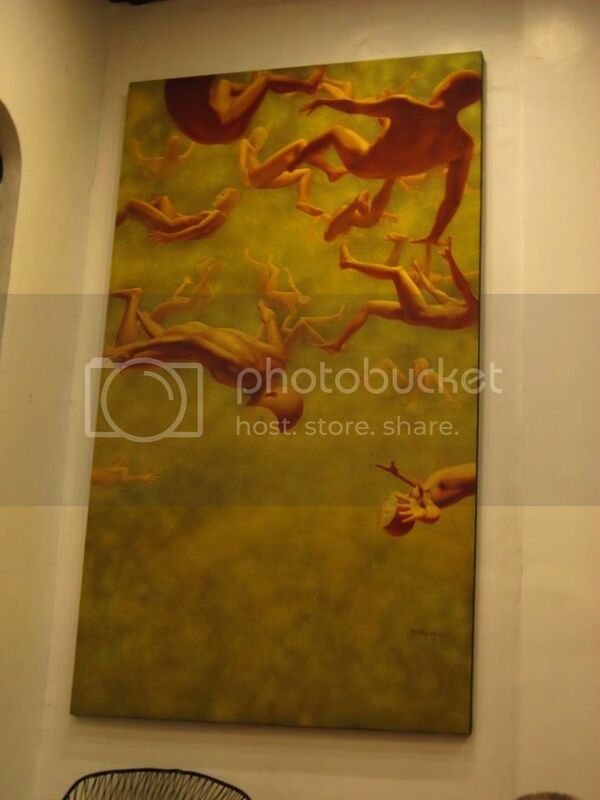 The PEx food club strikes again to try this art gallery/furniture shop/restaurant called Silya't Sili. 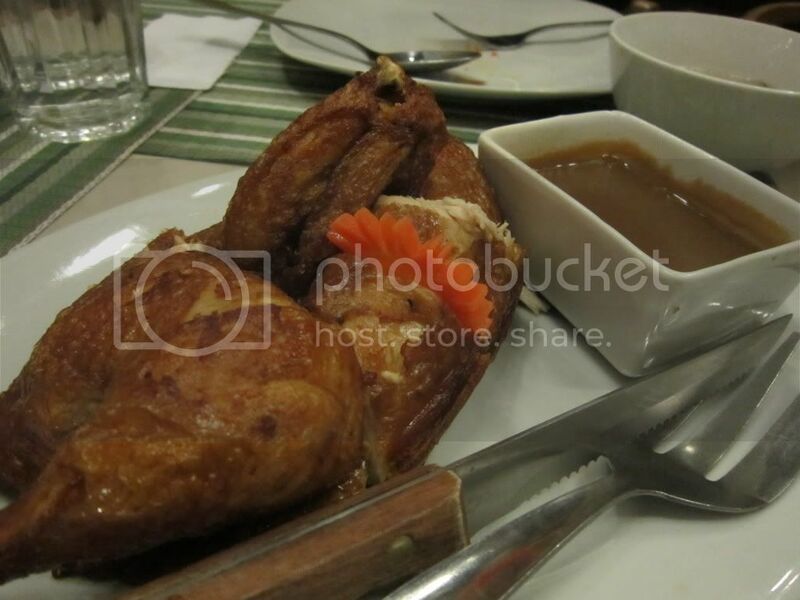 Silya't Sili is located in a semi-obscure White Plains area. 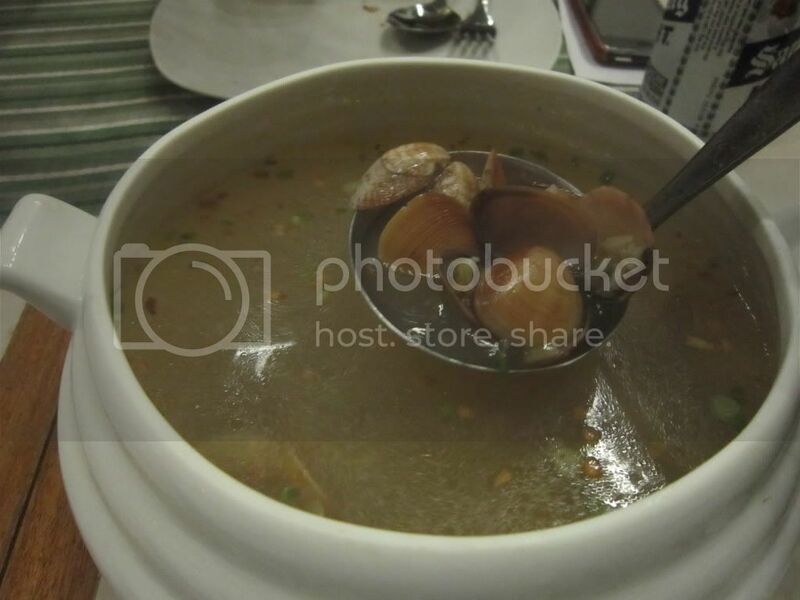 It offers mainly traditional Filipino dishes that we always love. Though named as such, its dishes aren't really spicy, which got me relieved since I'm not into spicy food. 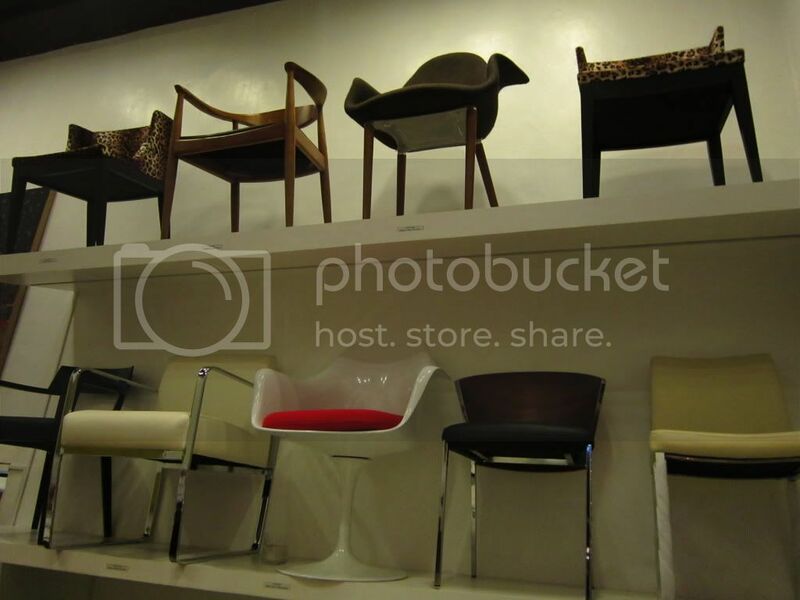 True enough, there is an exhibit of beautiful chairs in the dining area, which are also for sale. 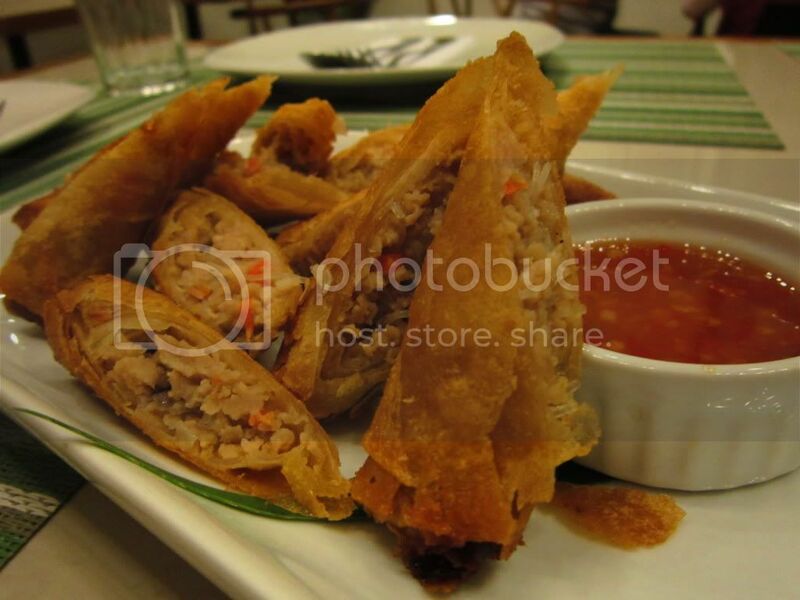 Fried Spring Rolls are 6 pieces of a combination of pork, shrimp, mushroom, carrots and vermicelli, served with sweet chili sauce. I'm biased to spring rolls, so I was tempted to finish everything by myself.haha. I'm not into seafood but I liked the mild taste and a serving was enough for eight people. 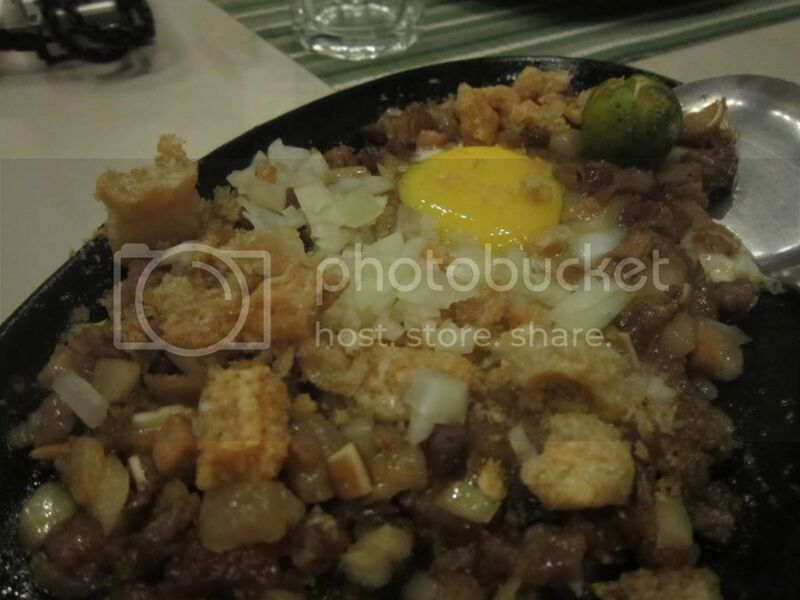 The sisig has the right amount of crunchiness with the amount of chopped onions mixed in. The Lechon Kawali was good, but I wish it was served chopped so we wouldn't have problems getting our portions. 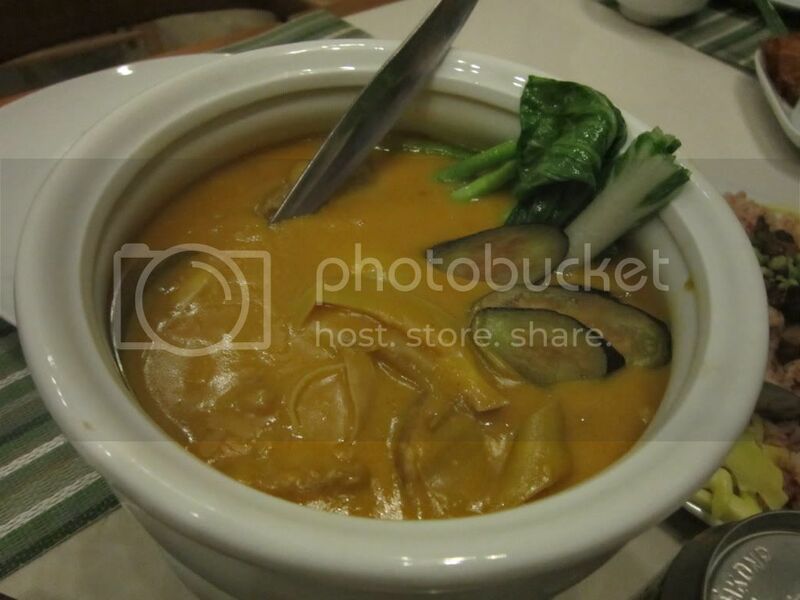 The kare-kare was good enough, the sauce has the right amount of thickness though I think the nutty taste was missing. Nothing special with the chicken though. 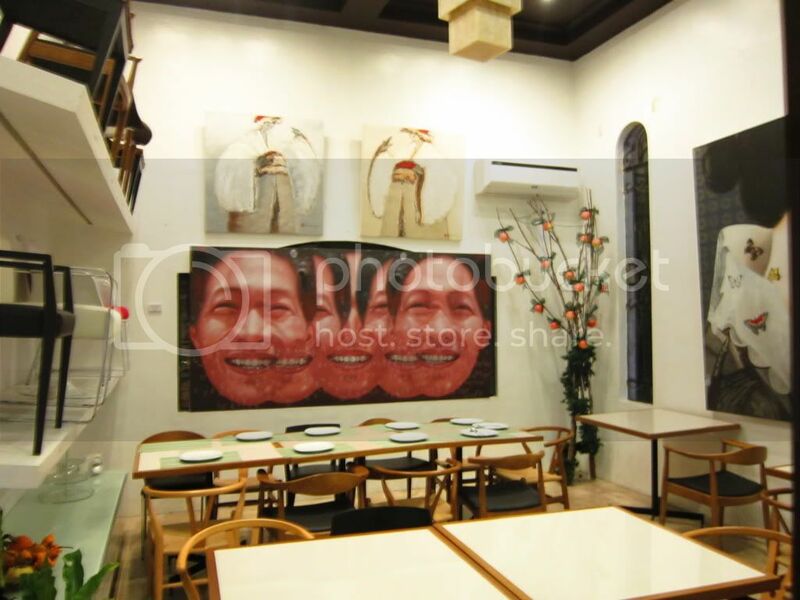 Overall, Silya't Sili is recommended for its affordable dishes and beautiful ambiance. It seems like we've visited a museum rather than a restaurant. The place is perfect for private functions as well. 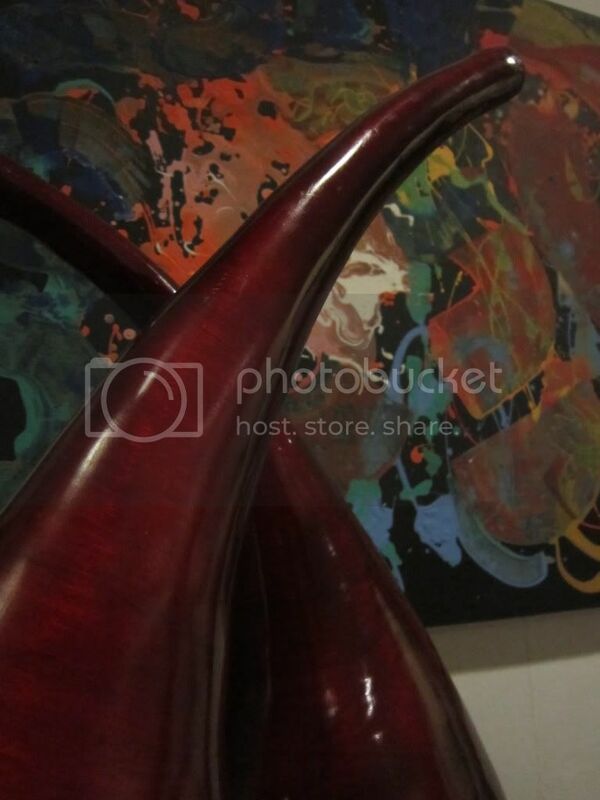 If you want a place with a bit of exclusivity and creativity, Silya't Sili is the place for you. Hi manong calbo! Hmm, nagtaxi kami papunta eh. Wala akong nakitang jeep na dumadaan sa area. I missed this. 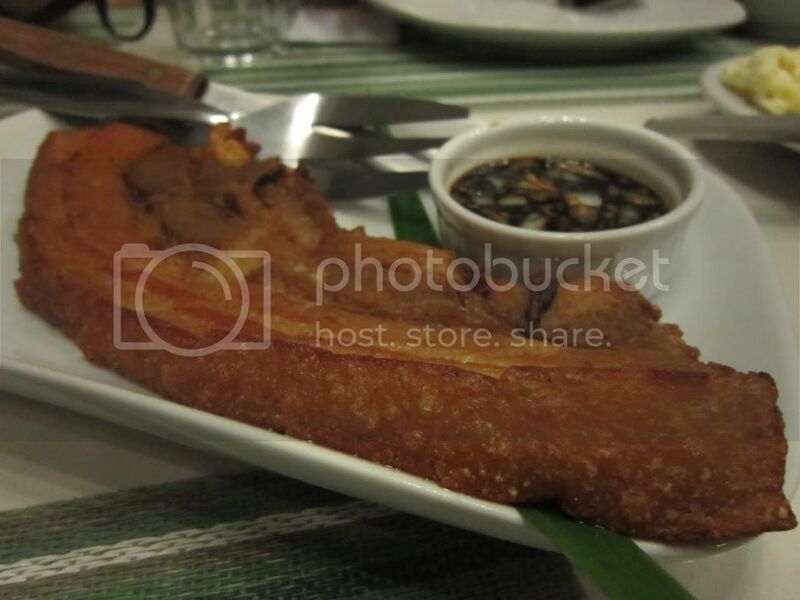 :( Grrr, I hate missing out on a food trip, lalo na super love ko mga umatend that time. Hehehe. Ill see you soon deary! And I love the photos! food and art shots are great! Can you be my friend sa blogroll ko? Exchange Link? Wow! The place really looks good and the food!!!! I hope I can visit their sometime. Thanks for dropping by everyone! If you want to be included in my blogroll, just leave a comment. Thanks a lot! Seems like a very fine dining resto.. Affordable po ba dito? I would have to tell this to my friend. 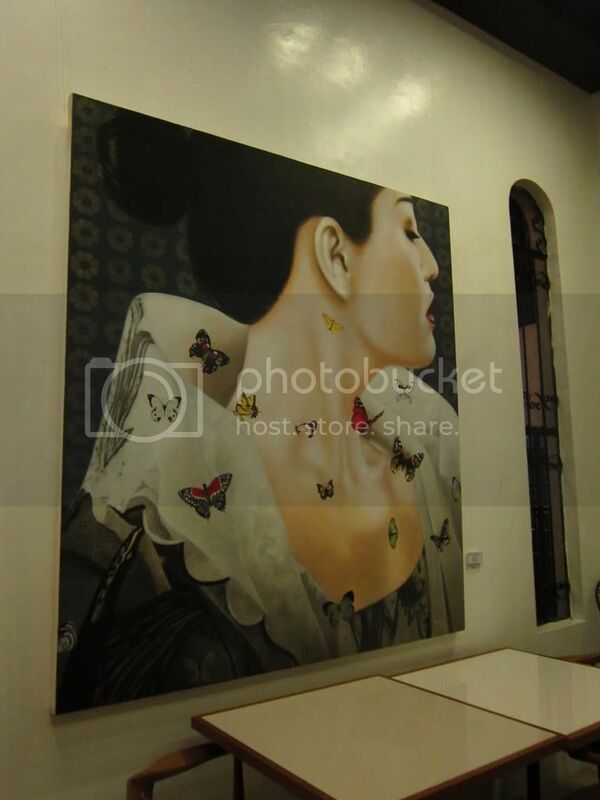 Kasi she loves art and chili, Para when she goes back to the Phils we can visit it. Hi Jane! I agree, maybe a mix was used.